Three (3) Colored Lithographs of Scenic Views, incl. 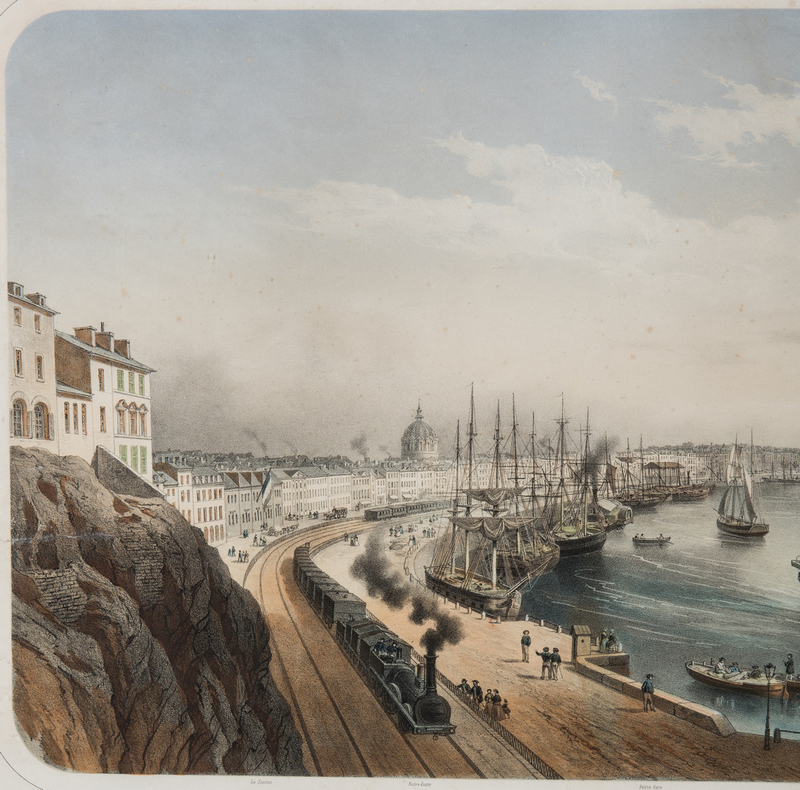 Queen Victoria visit to Jersey, Nantes, France. 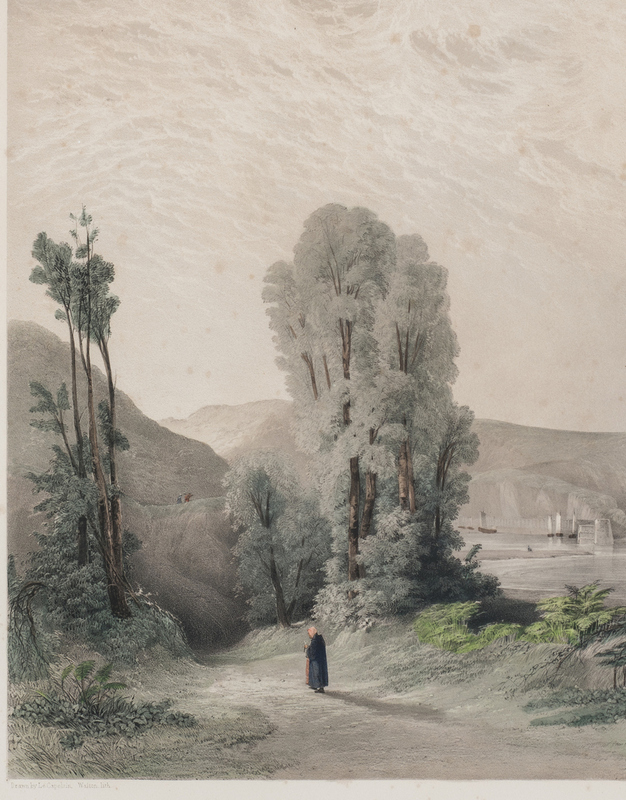 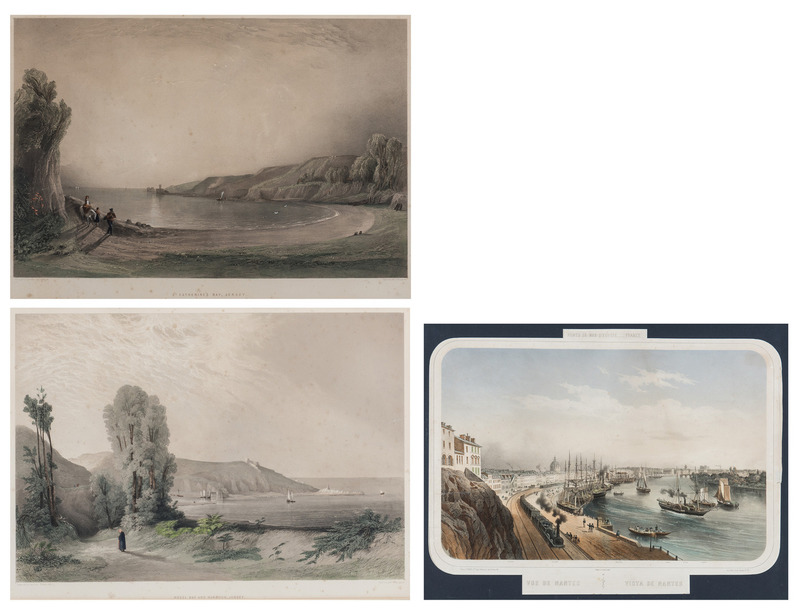 1st-2nd items: Two (2) tinted lithographs with hand coloring titled "Rozen Bay and Harbour, Jersey" lithographed by Walton, and "St. Catherine's Bay, Jersey" lithographed by Robert Carrick, Day & Son, lithographers to the Queen, after a painting by John Le Capelain (France, 1812-1848), 1847. 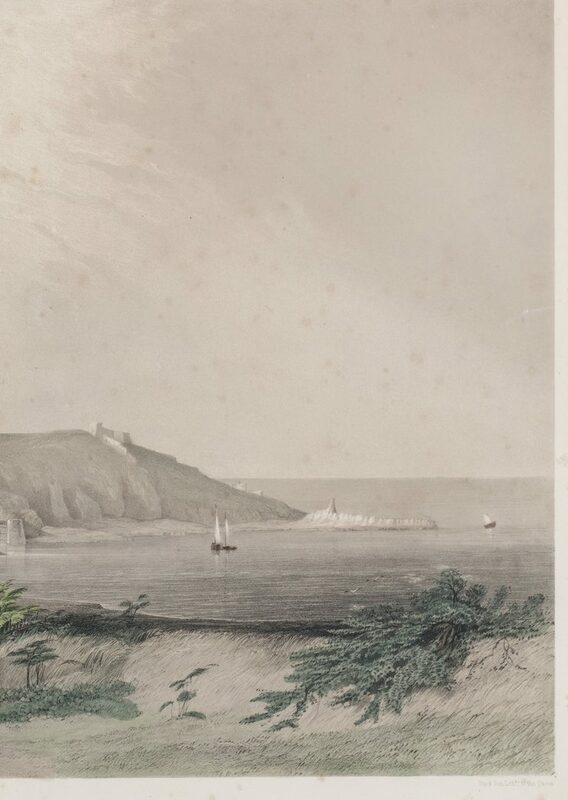 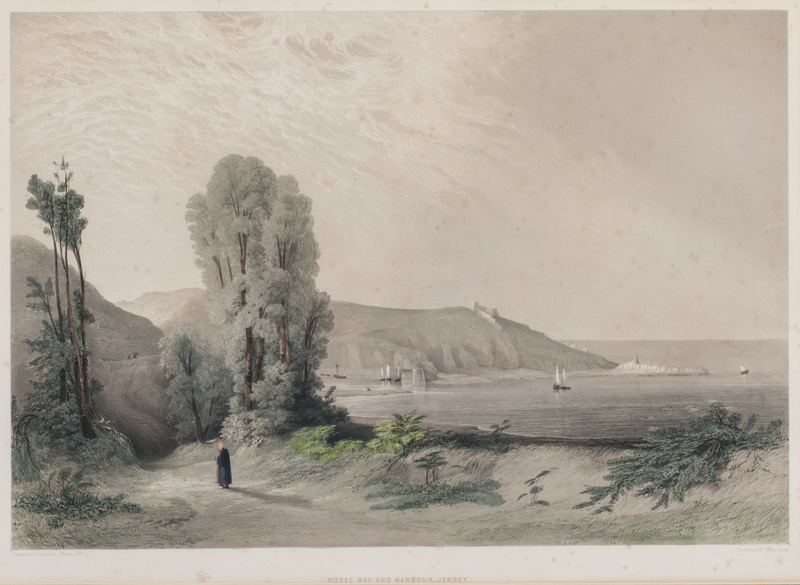 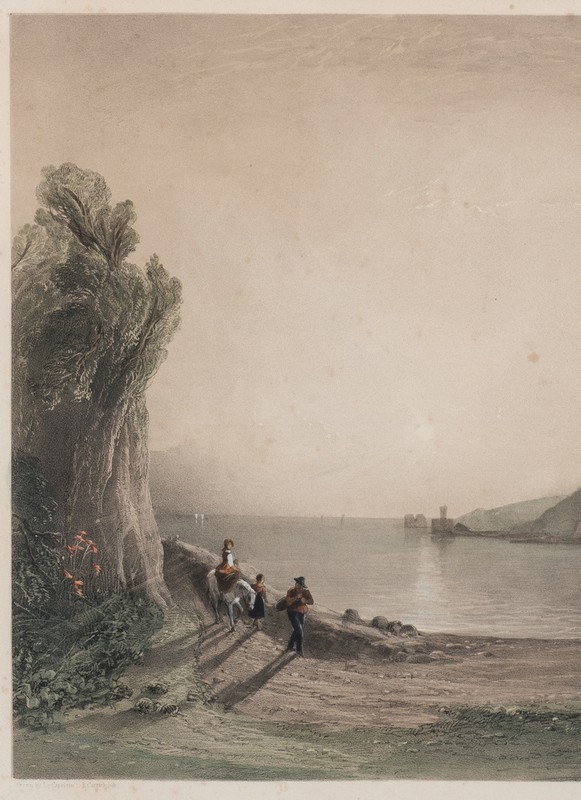 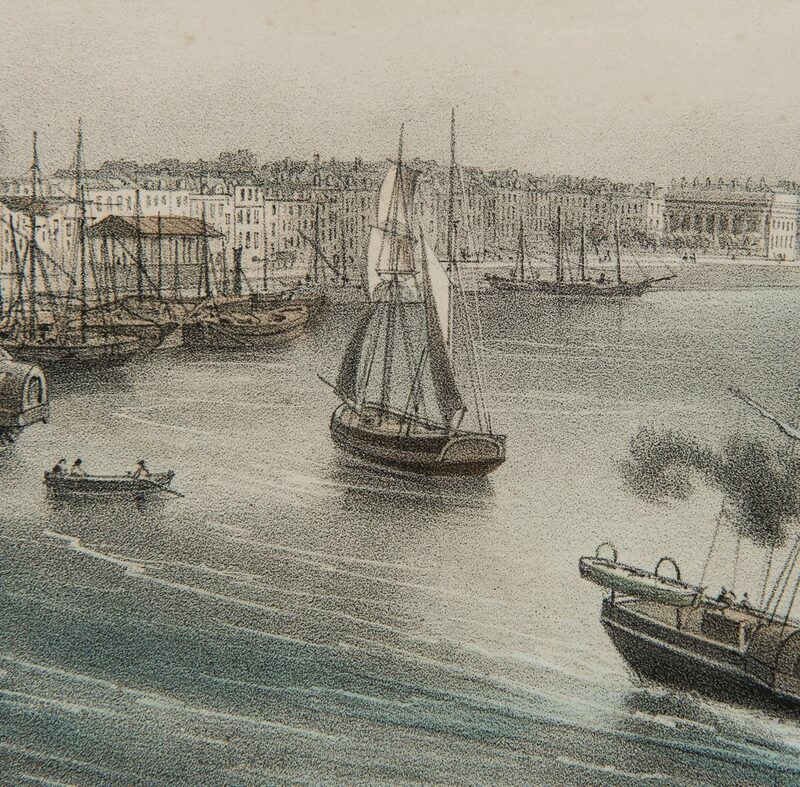 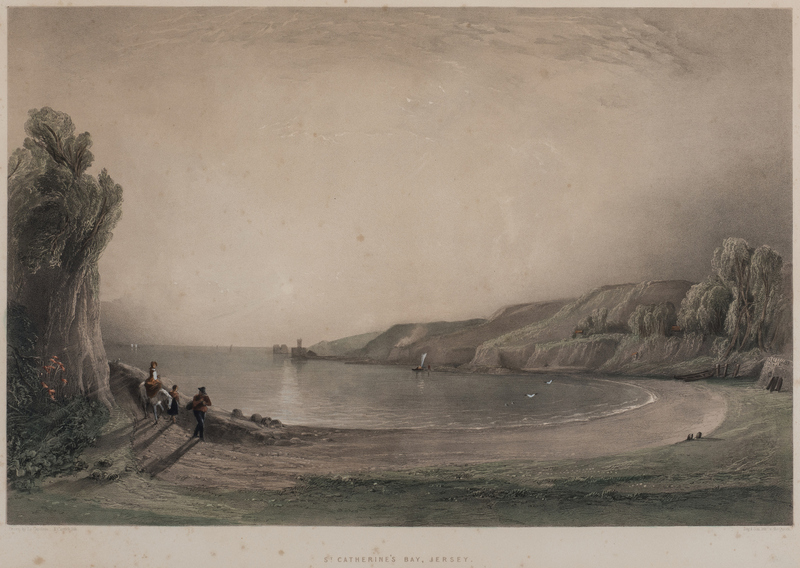 Depicts scenic views of Rozen Bay and Harbour and St. Catherine's Bay, published as one of a series of 26 views to commemorate Queen Victoria's visit to Jersey. 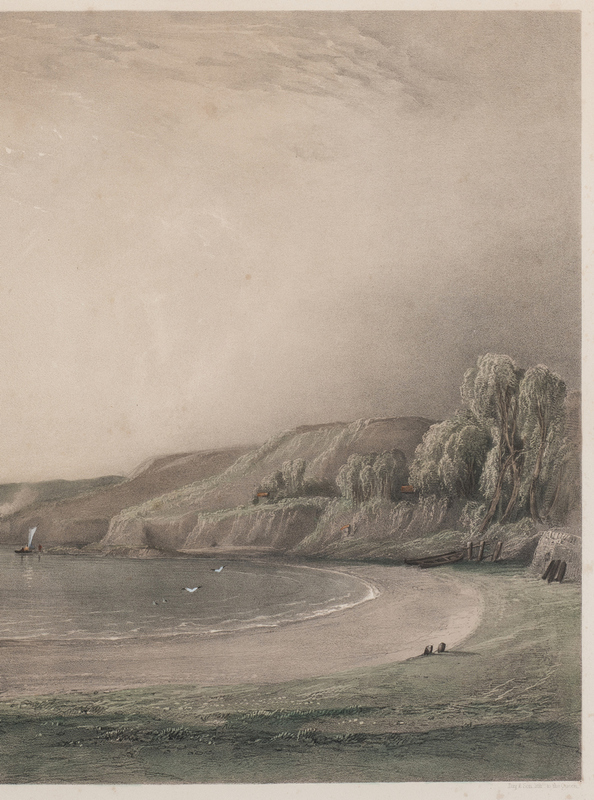 Both double matted under glass in a wooden frame. 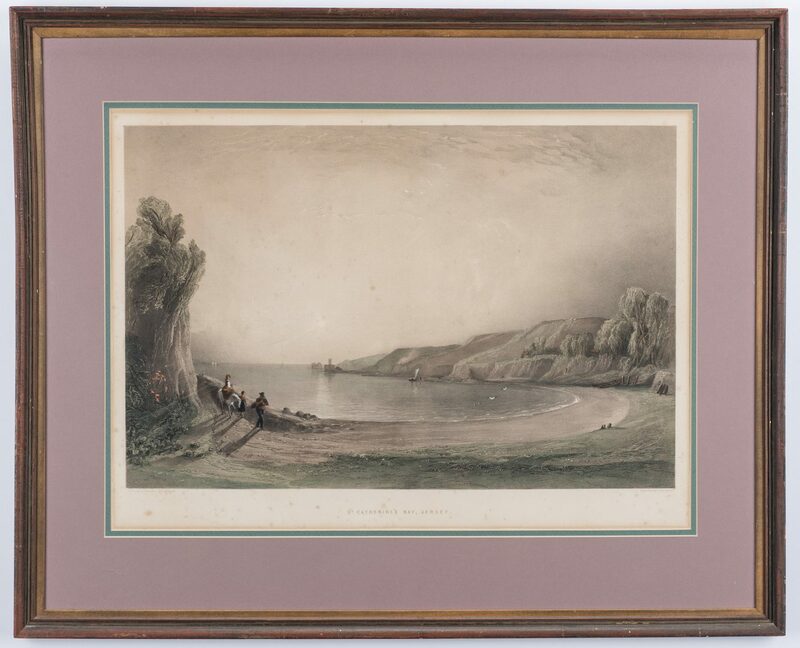 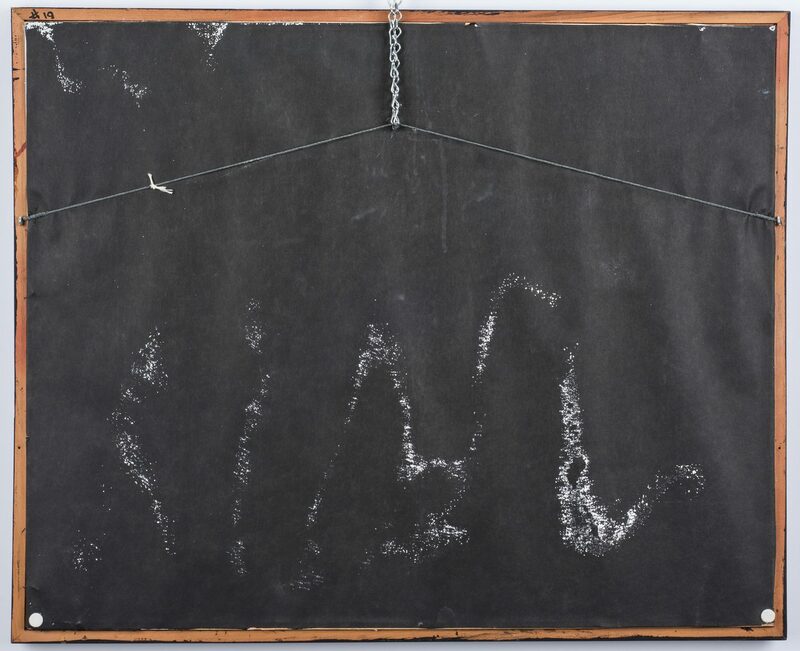 Sight – 16 1/8" H x 22 1/4" W. Framed – 24 1/4" H x 29 1/2" W. Mid 19th century. 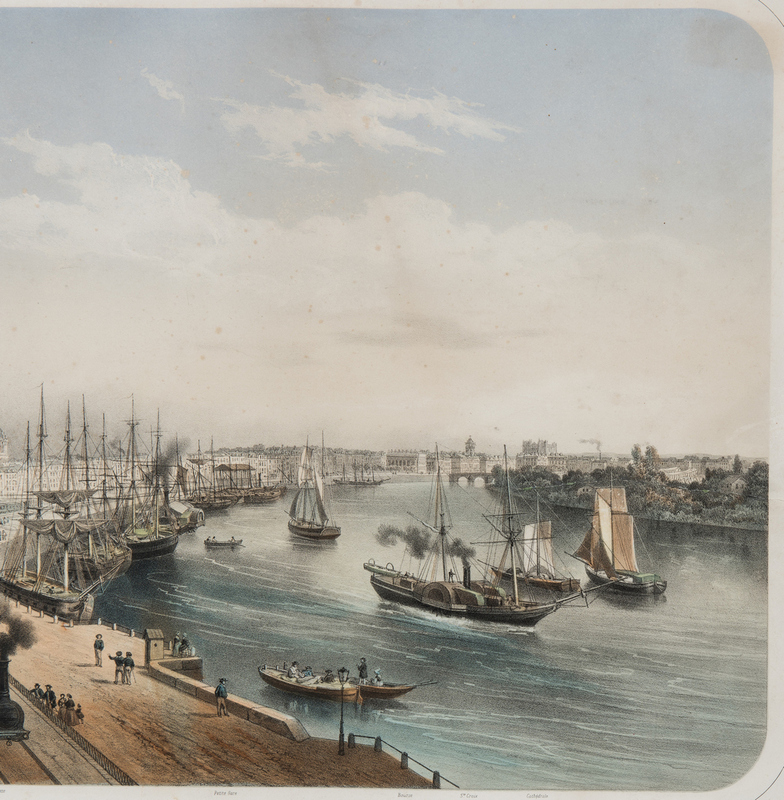 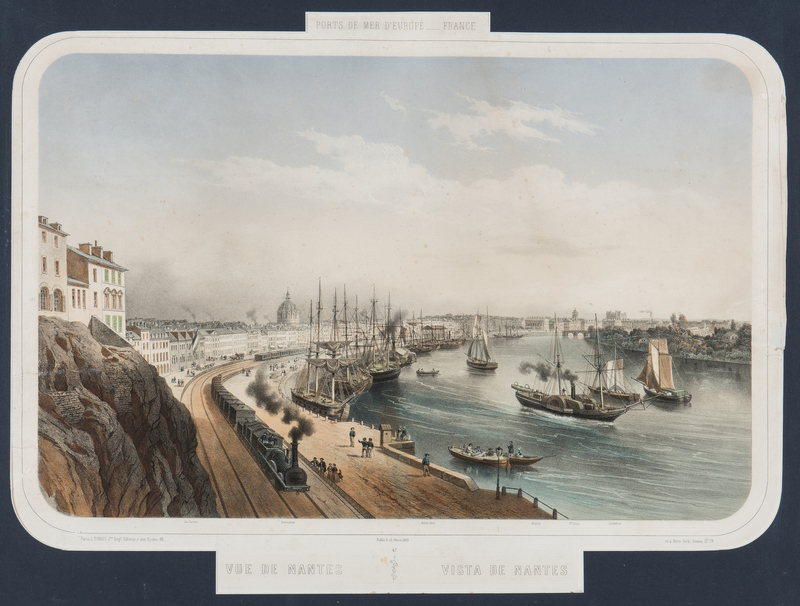 3rd item: Colored lithograph titled "View of Nantes", from "Ports de Mer D'Europe – France", L. Turgis, published 1863. 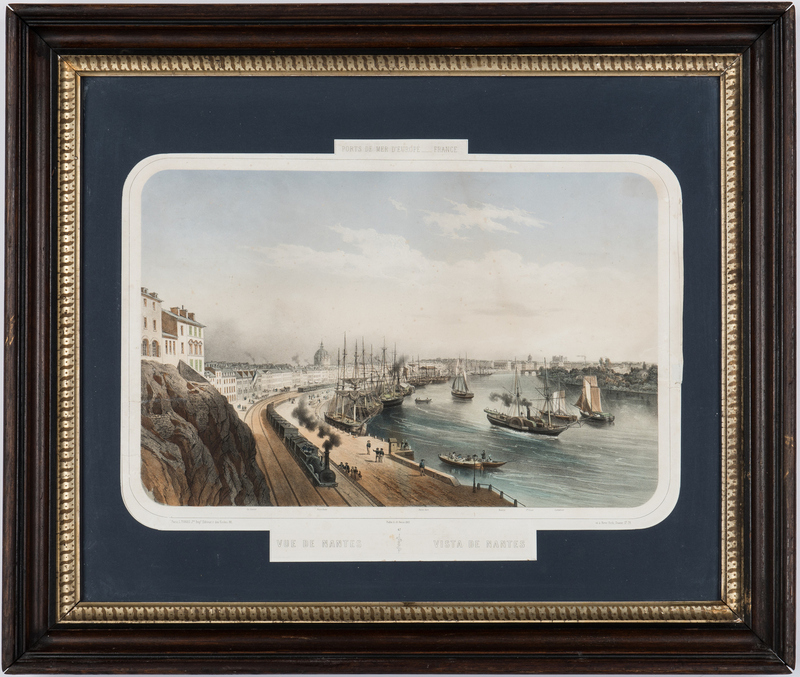 Housed in a walnut frame with gilt inner liner. 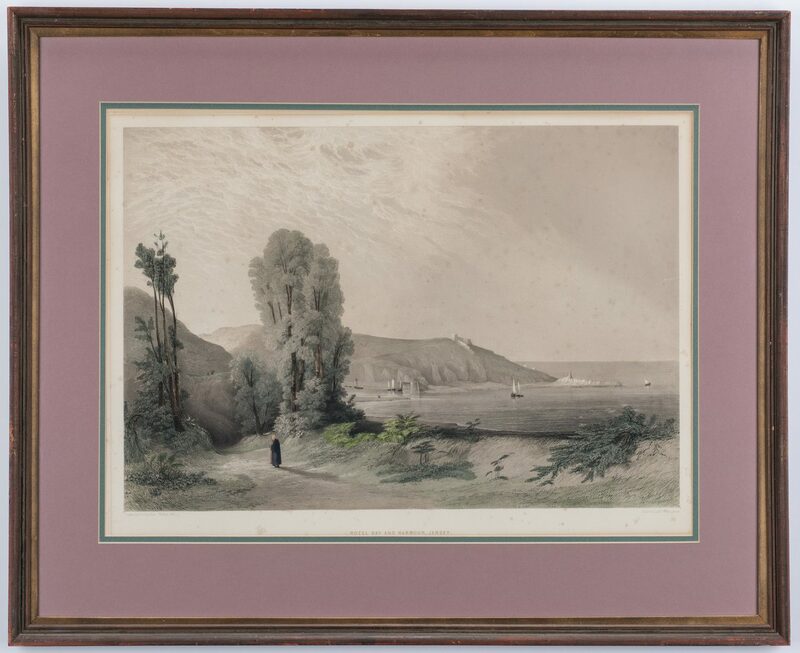 Image (visible) – 15 1/4" H x 20 1/2" W. Framed – 23 3/4" H x 28" W. French, third quarter 19th century. 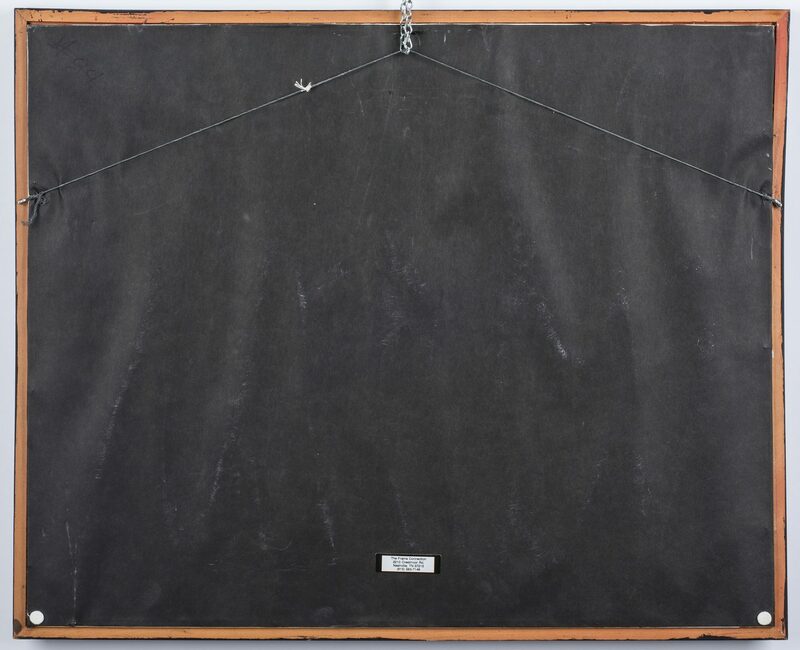 Provenance: The University Club of Nashville, TN; purchased from Elva Needles Antiques, Kansas City, MO, 1998. 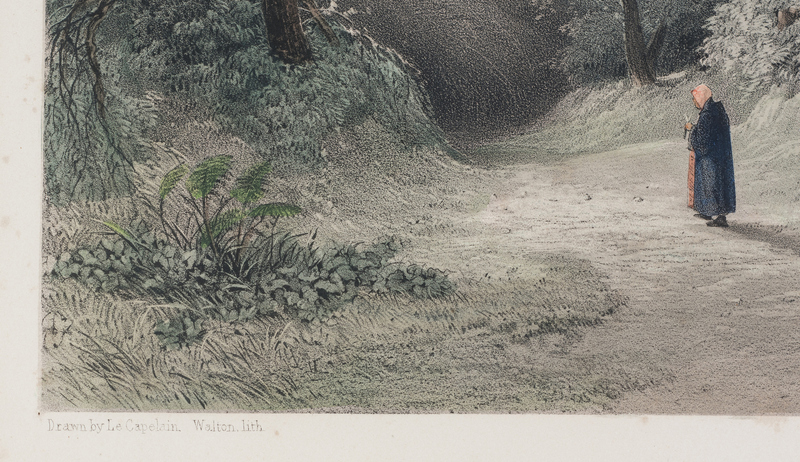 CONDITION: 1st-2nd items: Both in overall good condition with toning, scattered foxing spots. 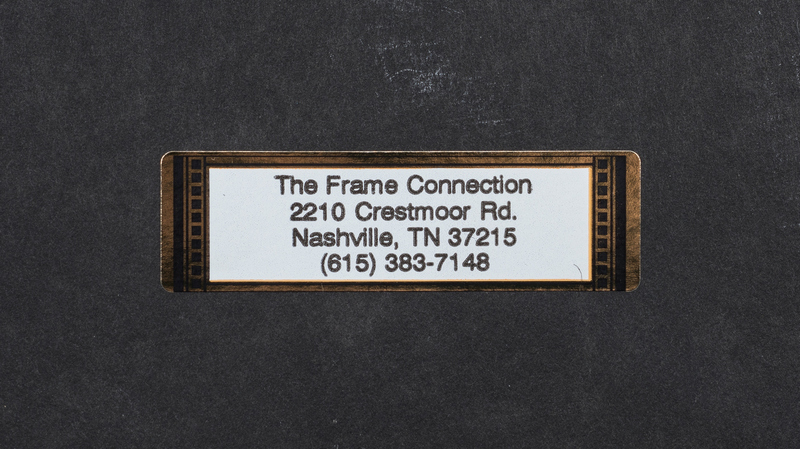 Not examined outside of frames. 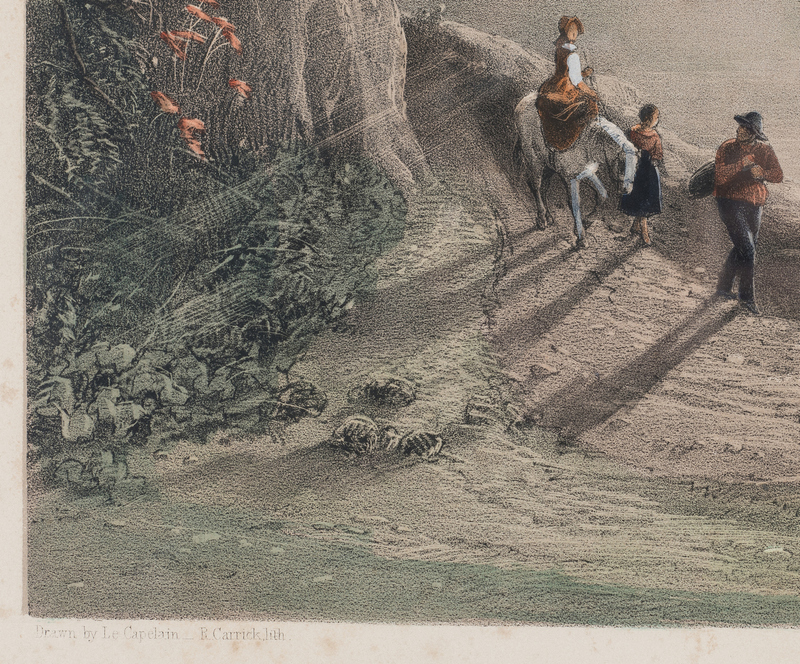 3rd item: Scattered foxing and toning to paper. Three tears at left and right measuring one inch to five inches long.